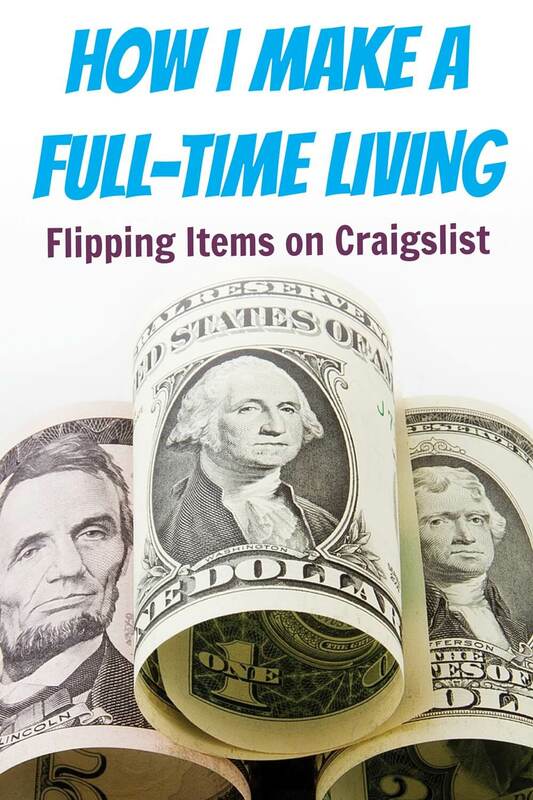 Ryan Finlay from ReCraigslist.com makes a full-time living (and supports his family of 7) buying and selling items on Craigslist. In fact, he used this business to pull himself out from $25,000 in debt and now teaches others to do the same. This is really one of the most fascinating side hustle stories I’ve come across because there’s a Craigslist for your city that is probably teeming with “inventory” for you to run a similar business. I’ve been wanting to get Ryan on the show since last year so I’m excited we were finally able to connect. The Craigslist arbitrage game seems very attainable; no technical skills required and not a lot of startup capital necessary (Ryan started with just $200 in the bank). His operation follows the basic adage of “buy low, sell high,” but does so in a systematic and repeatable way. Think you could earn an extra $50-100 per deal, or per day? Ryan gives the inside scoop on how to get it done. There’s an inspiring story arc here, that goes from experimenting in a bunch of different product categories, to finding a niche, to helping others in their business. Click here to download Ryan’s top tips and tactics to start a Craigslist side hustle. How a couple early wins hooked him on the business. How he broke down his goals into a daily earnings target. How his friends provided a daily accountability system to make sure he was working. Ryan’s process for finding undervalued items. His process to cut through the clutter on Craigslist and contact sellers. Why he doesn’t negotiate hard on every deal. What other product categories people have done well with. Ryan’s best practices for finding inventory in the free section. What do you think? Could you start this weekend and find one or two undervalued items? I might have to give this a shot! Another great side hustle idea. Really like it! Thanks Nick and Ryan! Now planning on building a garage and tearing out the seats in my car! Hmmmm…. this one is a miss and not good at all. I was interested in hearing this podcast because I myself have been buying and selling stuff on CL for about 6 or 7 years. Totally on the side with maybe 1-5 hours a month (yes, a month). Most months I don’t buy anything… I probably spend 1/2 the year on CL buying/selling (when my other business slows down). In the last 5 years I’ve made almost 100k profit buying and selling anything from tools, to concert tickets, to bike parts, to lamps, to RVs/motorcycles/boats. At any given time I can switch from one category to the next based on what is “hot” or my storage and inventory constraints. This is all pretty simple stuff…. find something (or an area) you know about, search for items on CL, see the trends, and buy it under the market prices, and list/sell in the right season (if applicable to the item). ANYONE can figure that out. So my comment and negativity is this: Although I do like Ryan’s story and don’t want to beat him down, his tips and advice were very basic and common knowledge. There’s nothing he said or advised that is of use to someone wanting to get into this side hustle. For example, there are many “tools” I use – websites, apps, etc. to help me with my purchases or sales… and either Ryan is withholding them, or he is not savvy enough to have found them (the latter is my guess) . They are not hard to find… and CL is so popular that there are lots of these tools out there. Lastly…. appliances and furniture… really? Could you pick an item that is harder to pick-up, transport, stock, and deliver (if needed to close the deal). WOW! That is the worst… and it also completely limits himself to only sell his items for “local pick-up only.” 95% of the items I buy can be resold online… to the WORLDWIDE market… why limit yourself to your city and surrounding neighborhoods. No bueno! I could go on and on about how misguided his advice is, but I will leave it at that. Nick, you have a great podcast and I enjoy nearly all of your interviews… terrific guests, insightful questions, and great rhetoric. This one missed the mark due to your guests lack of expertise… I look forward to the next one! Hey Edwin, sorry this one didn’t do it for you, but appreciate the honest feedback. Sounds like you’re already a Craigslist pro! I definitely like the idea of picking up items locally that could be re-sold online. Any tools/apps you can share that help with that tactic? Nick, indeed reading from Edwin’s feedback…he is a seasoned CL trader, please interview him, we stand to benefit from his insight. Hi Edwin, I think this is a great idea. How does a recent graduate benefit from reselling on CL? Please email me at [email protected] Thank you! Hi Edwin, I’m part of a team of three developing a software product that can help frequent Craigslist sellers like yourself avoid spam, scams, and save time. We’re interested in learning from you about your experience and your pain points and potentially having you try the product in its early stages. Please shoot me an email [email protected] if interested, we’d love to hear from you. I really enjoyed this podcast. However, I would have liked to hear more about Ryans tips on how to re-sell the items that he buys. Interesting. I knew people did this type of thing with Ebay, but didn’t know they did it on CL too. I buy computers / components / peripherals on craigslist and resell them. I also build quite a few custom computers for people on there as well. You need a big enough city that offers some selection, but a small enough city so that you aren’t wasting your time going back and forth too much. And basically – if you know what things are and how much things are worth, you buy them when there are good deals, then turn around and sell them for more. I often will buy a new fancy case, add a video card, or do other things like that to make an item more attractive. Hi Louis, I’m part of a team of three working on a software product that is aiming to help Craigslist sellers like yourself avoid spam, scams, and save time. We’re looking for feedback about the product and would love your insight. Shoot me an email at [email protected] if interested! Hi, I am from Bangladesh. Can anyone help me with the information whether this site is helpful for trading from Bangladesh? If so does any one have any interest to source products from here? I am searching to do something of my own beside my job. So looking for …. Appreciate your suggestions.